The originator of the first cold rolled steel fencing pale. 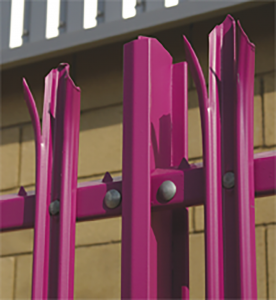 UltraFENCE™ is the very first complete cold rolled security fencing system – lighter, stronger and more economical than conventional palisade fencing systems, whilst exceeding the stringent requirements of BS1722 Pt12; 2006. Offering reduced installation times and delivery costs, UltraFENCE™ increases security, delivering an attractive looking yet extremely robust perimeter fencing solution. 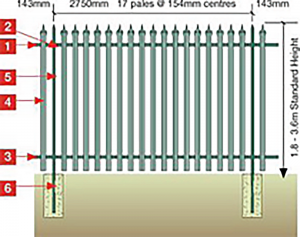 UltraFence palisade fencing is designed to be stronger, lighter and more economical than standard palisade fencing. Decorative in appearance, this fencing is highly resistant to climbing and cutting. 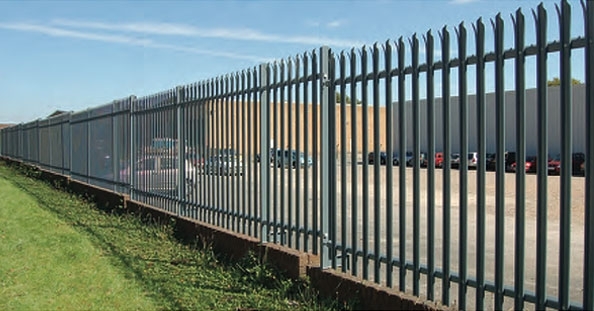 UltraFence palisade fencing is suitable for use in commercial and industry sites where a high level of security is required. It is suitable for railways, motorways, public utility sites, reservoirs, research laboratories and schools.